Freedom of the press is guaranteed in Hong Kong, but many in the publishing industry say they are beginning to feel pressure from mainland China. The latest associate to be reported missing is the man who raised the alarm when his colleagues disappeared in October. Mr Lee spoke to the BBC when his colleagues disappeared but did not want to disclose his full name at the time fearing reprisals. One of his colleagues said Mr Lee was taken away by unknown men and the fear is that Chinese officials have reached beyond mainland China to punish them for their work, our correspondent Juliana Liu in Hong Kong reports. The bookshop's troubles are not unique. 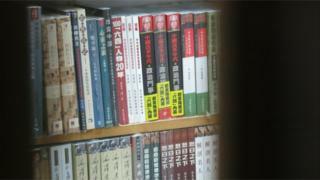 Last year, Hong Kong publisher Yiu Mantin was sentenced to ten years in prison in China on smuggling charges his family believes were retaliation for publishing a book highly critical of President Xi Jinping. And in November, two Hong Kong journalists were tried for selling political magazines in nearby Shenzhen.